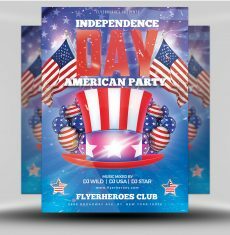 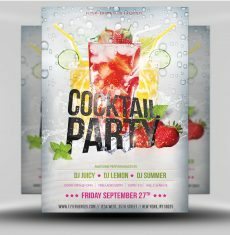 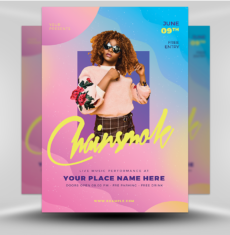 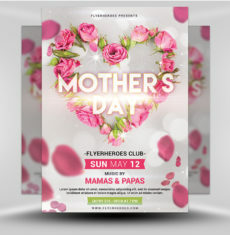 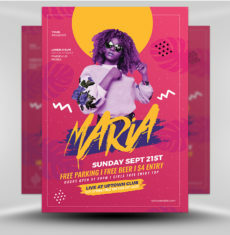 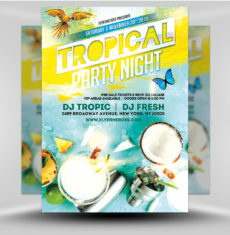 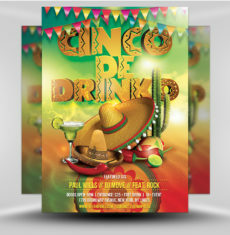 Get noticed by an audience with this luxe Club Party flyer! 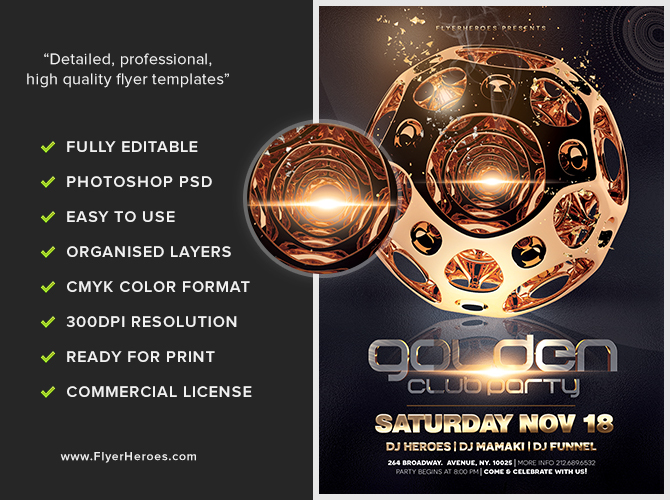 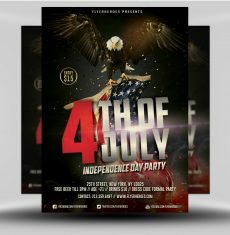 This flyer has a futuristic, almost robotic feel, through its use of a mixture of organic and tech stylization. 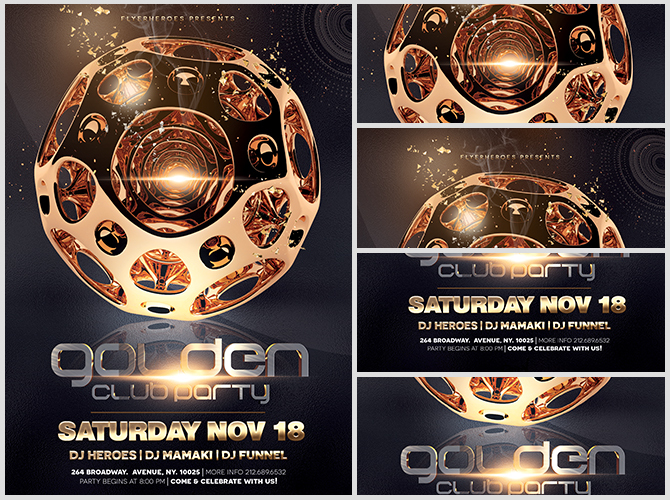 The center graphic is a gold metal sphere, with cutouts reflecting an infinite depth. 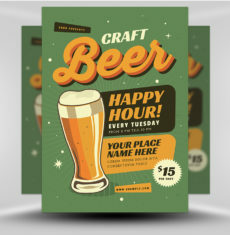 Lens flares complete the illusion, reflecting off of the surface. 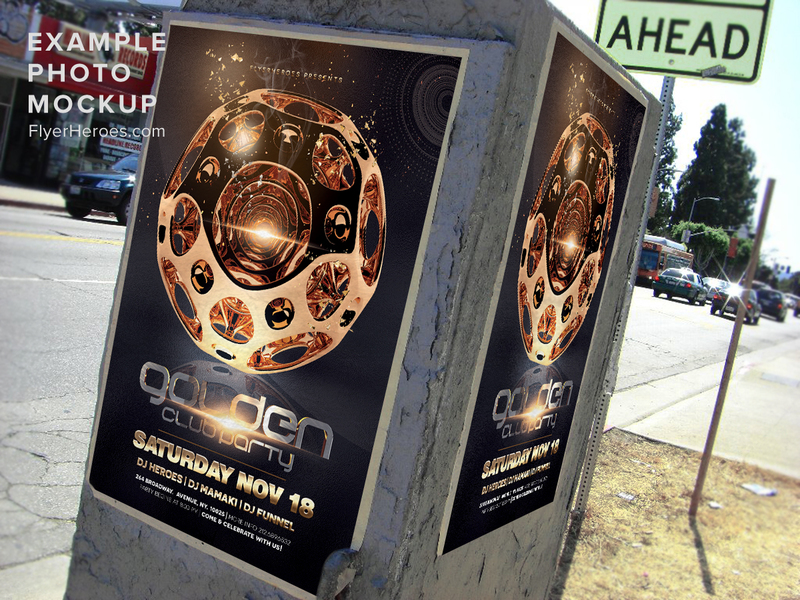 The sphere sits on a reflective surface, giving this flyer a sense of depth. 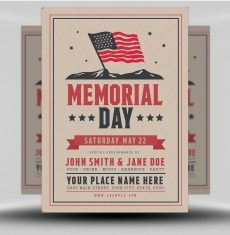 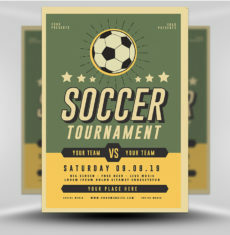 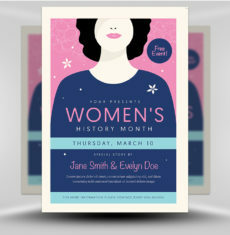 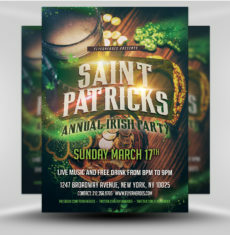 Event information appears below the sphere, using futuristic sans serif fonts in bright metallic gradients. 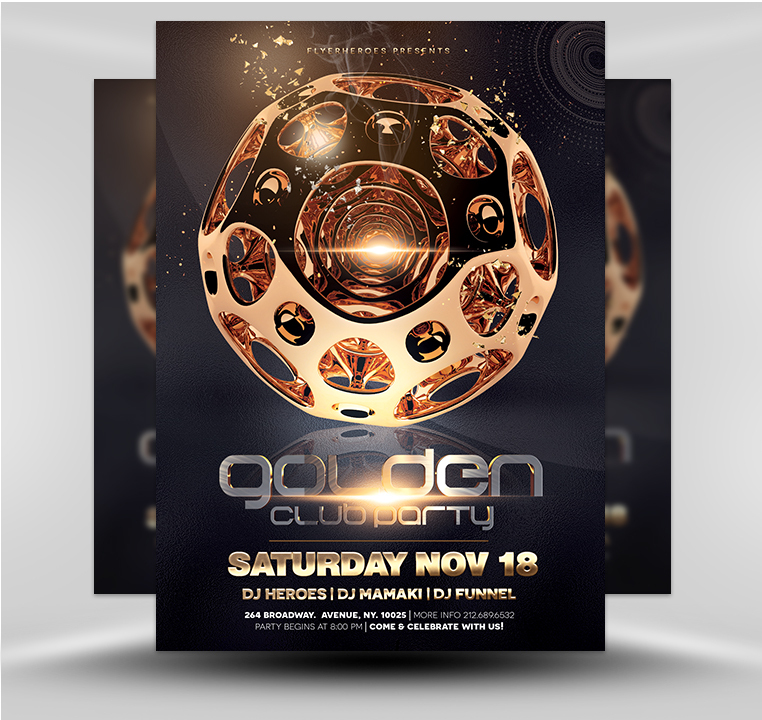 You can use our Golden Club Party flyer for themed nights, dance parties, or any gathering you put together!